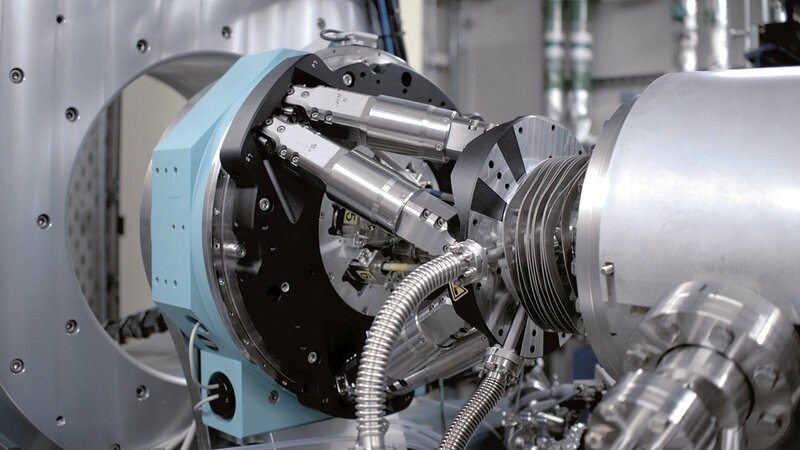 At Diamond Light Source, UK, beamline I07 is a high-resolution X-ray diffraction beamline dedicated to investigate the structure of surfaces and interfaces under different environmental conditions, including, for example, semiconductors and biological films. 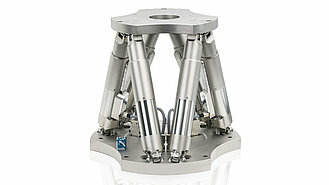 In the center of a five-circle x-ray-diffractometer, the samples are mounted on a Hexapod which provides height adjustment and any other alignment required. The requirements were challenging: Load may easily sum up to 50 kg, while the mounting space within the diffractometer limited the overall height of the Hexapod to 290 mm. Since the Hexapod would operate with horizontally or vertically oriented baseplate, the stiffness of the system was deciding.